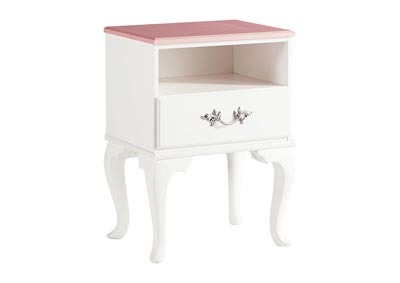 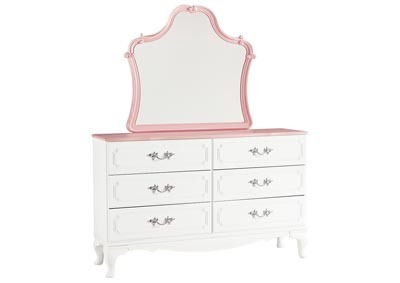 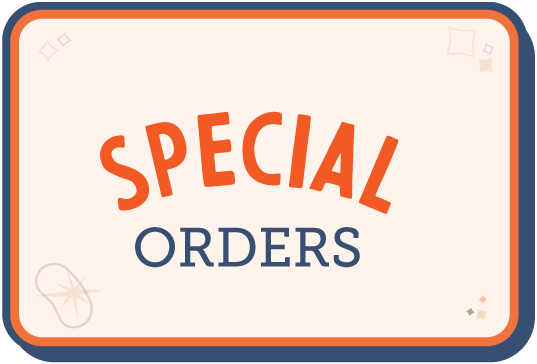 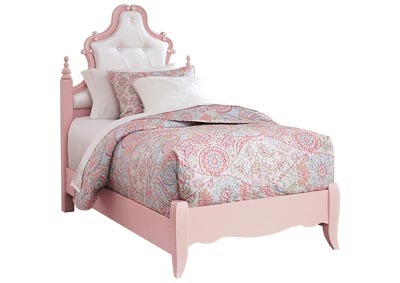 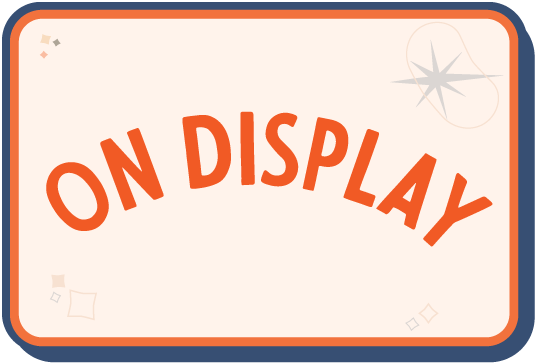 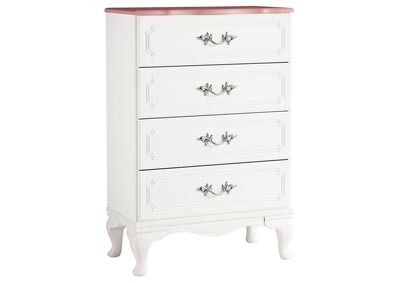 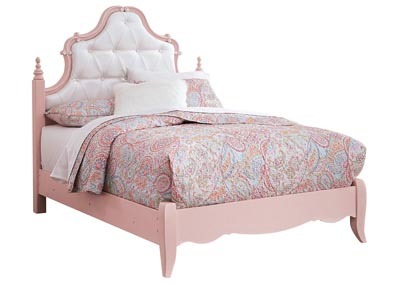 Your little princess will be tickled pink—and white—by the Laddi dresser and mirror. Fit for royalty, this elegant ensemble charms with French provincial flair. 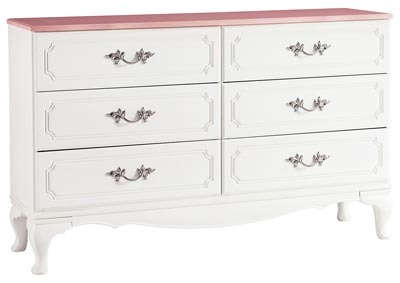 Elements of this white and blush pink dresser and mirror include embossed bead framed drawers, cabriole legs and satin nickel-tone handles that are so très chic.